Eugene completed his science degree with honors at the University of Queensland in 2003. He subsequently completed a dental degree from Griffith University in 2008 and then worked in private practices on the Gold Coast as a general dentist for several years before commencing further study in the field of Periodontology at Griffith University. 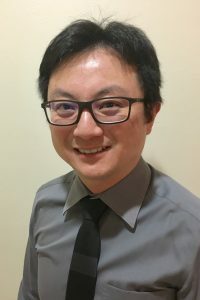 Eugene is a registered periodontist and is also in the final stages of completing his PhD thesis. Eugene has been involved in the teaching and clinical supervision of undergraduate dental students at Griffith University. He is a member of ASP (Australian society of periodontology) and ANZAP (Australian and New Zealand Academy of Periodontists). Eugene has special interests in general periodontics, implant dentistry and the management of peri-implant disease.